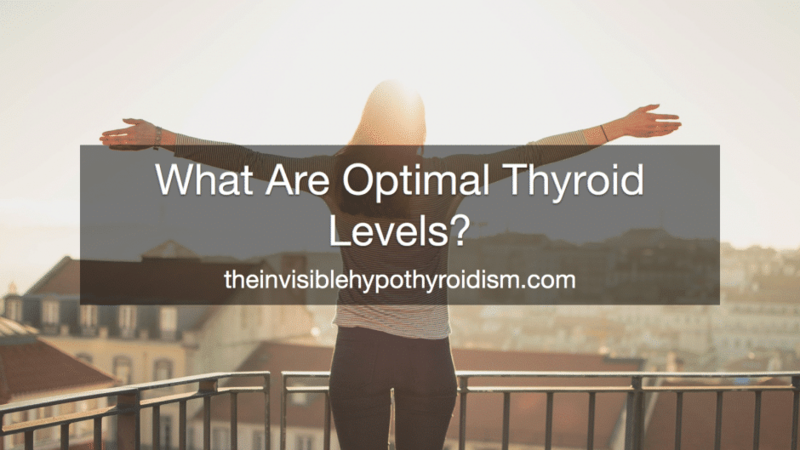 What Are Optimal Thyroid Levels? 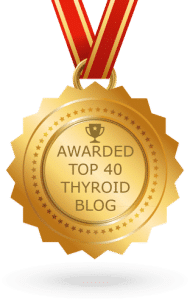 Home » Informational Posts » What Are Optimal Thyroid Levels? 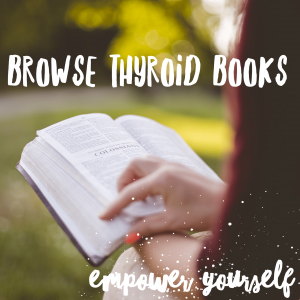 It’s a term I, and so many other sources for thyroid information, use a lot. What Are Optimal Thyroid Levels? A lot of conventional medicine doctors and endocrinologists refuse to acknowledge that it’s not just about falling ‘in range’, but it’s where in range you fall that matters. It can matter a lot. Functional doctors support finding optimal thyroid levels. 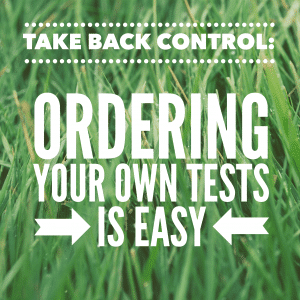 Put simply, when your doctor runs a test and you get the results, optimal levels are the results that a lot of thyroid patients state they feel best at. This is a place within a given ‘range’. 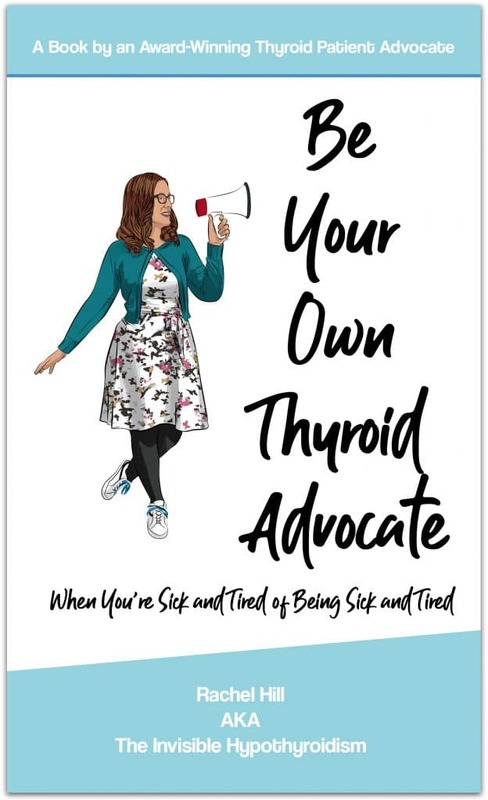 You’ll find that many thyroid advocacies (such as Hypothyroid Mom, Stop The Thyroid Madness, Mary Shomon, Izabella Wentz etc.) and functional medicine practitioners agree that a TSH less than 2 or 2.5, and a Free T3 in the top quarter of the range, with a Free T4 mid-range or a little higher is considered optimal. There are also some studies below demonstrating these too. These optimal levels mean that a lot of thyroid patients say they feel most well when their TSH is 2.5 or below, for example. Or a Free T3 at 17.5 or above on a scale of 10-20. For you, you may feel best somewhere else within range, but you should try to find out and maintain it at what you feel best at. 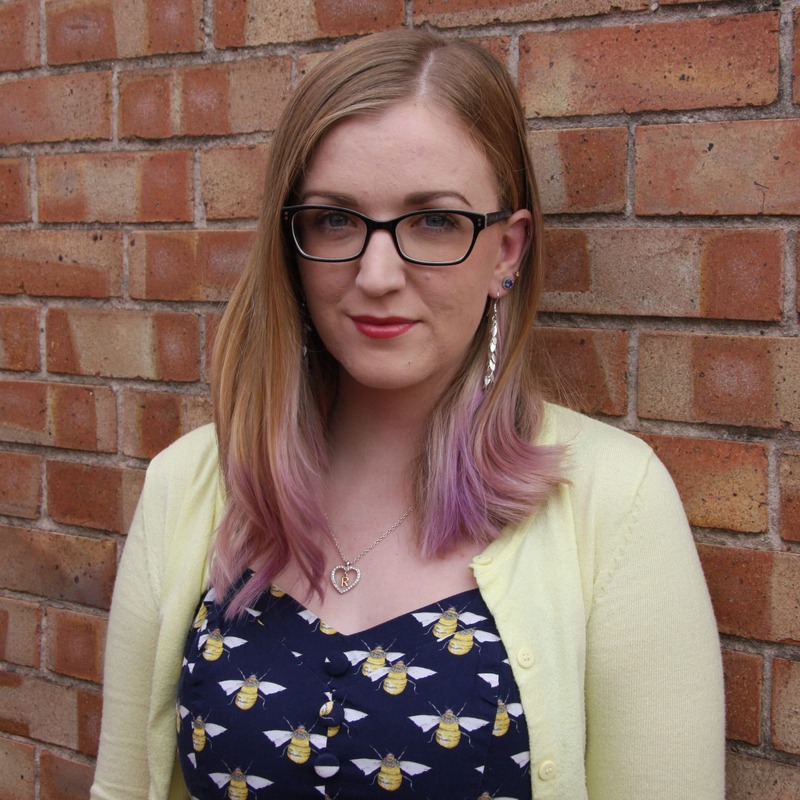 Since a lot of us didn’t have our thyroid levels tested before we developed a thyroid condition and began to feel unwell, we often don’t know what our levels were when we felt well. So you must work with your doctor to find where your own individual optimal levels are. 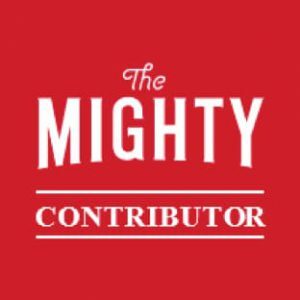 What Are Some References That I Can Use When Speaking to My Doctor About Wanting to Reach Optimal Thyroid Levels? 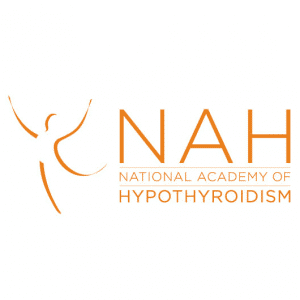 In 2002, the National Academy of Clinical Biochemistry (NACB) issued new guidelines for the diagnosis and monitoring of thyroid disease, which reported that the TSH reference range was too wide and actually included people with thyroid disease, thus making it inaccurate. When more sensitive screening was done, which excluded people with thyroid disease, 95% of the population tested had a TSH level between 0.4 and 2.5. As a result, the NACB recommended reducing the reference range to those levels. This report and study backs up the optimal TSH level of being below 2.5. It is important to understand that different labs/doctors use different ranges, so you must interpret your results individually; don’t compare them to anyone else’s. A Free T4 at 14, with a range of 9-19, is mid-range for example, but a Free T4 at 11 is mid-range for a range of 7.5-14.5. So both are considered optimal readings. 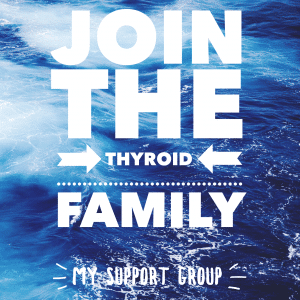 It’s important to be aware that a suppressed TSH alone doesn’t mean you’re hyperthyroid or over medicated. If your free t3 and free t4 are still within range then they show that you are not hyperthyroid or over medicated. You must look at your result in comparison to the given range, usually stated in brackets, beside it. Where does it fall? 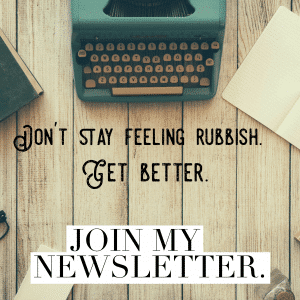 I always tell people to get their thyroid test results printed off, for ease of reference and comparison as you try things to correct your thyroid levels and reach good health. Always work with a doctor on evaluating and reevaluating your thyroid hormone levels, keeping in mind your symptoms and overall health as well. We’re all individuals and there is no one size fits all, but there are obviously health risks if your thyroid hormone levels are both too low or too high for an extended period of time. You can present the above studies and their findings to your doctor. Hollowell, J.G., Staehling, N.W., Flanders, W.D., Hannon, W.H., Gunter, E.W., Spencer, C.A., Braverman, L.E. Serum TSH, T4, and thyroid antibodies in the United States population (1988 to 1994): National Health and Nutrition Examination Survey (NHANES III). OUR HOLY MIRACLE OF THE INFALLIBLE TSH TEST! Had private blood test cause not getting anywhere with GP ..been diagnosed 2002 hypothyroidism however I can never stay stable ..either over or under…Currently taking levo…..results tsh 9.11 t4 total 124.0 free t4 20.70 free t3 3.31 b12 18.1 please could you explain what’s going on I’m a bit of a novice…. You can certainly see your enthusiasm in the way you write. The world hopes for even more passionate writers like you who aren’t afraid to mention how they believe. Especially about thyroid problems! My recent thyroid results are 0.82 range is 0.35-5. I have Pernicious Anaemia, low vitd/calcium. I have difficulty loosing weight is my main concern. I am on 125 of levo, but doctor said it can go up to 150. Any ideas on how I can give my slow weight loss a boost!? That sounds like just your TSH has been tested. Free T3 and T4 should also be tested and getting them optimal also helps many people with losing weight among other thyroid symptoms.